It’s easy to forget that David Lynch’s Twin Peaks was inspired by a true story, what with its alternate dimensions, magical giants, and fish-laden percolators, but its seeds first sprouted in the mind of co-writer Mark Frost when his grandmother began telling him stories of a murder in Sand Lake, New York. In 1908, a young woman named Hazel Drew was found dead in Teal’s Pond, and the accounts of her life that emerged in the wake of her death sound a lot like those of Laura Palmer. TheWrap reports that Drew’s story has been investigated by writers David Bushman and Mark Givens for years, and the duo have written a book that will be released by publisher Metabook. Called Blonde, Beautiful and Dead, it will feature a foreward from Frost, as well as an accompanying docuseries from Part2 Pictures. Part2 has previously produced a number of documentaries, including Showtime’s Dark Net and Oprah Winfrey’s Belief. “This is one of those stories that you can just see and feel the second you hear about it. 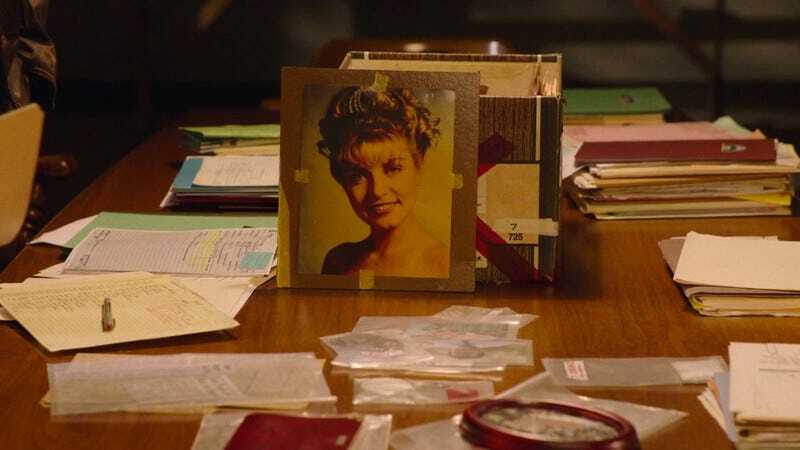 It has all the texture and twists of Twin Peaks but has the beauty of being true crime with a current-day investigation unfolding alongside the events of the past,” said Part2's David Shadrack Smith, who, sadly, neglected to mention how Wally Brando factors into the true-life tale.